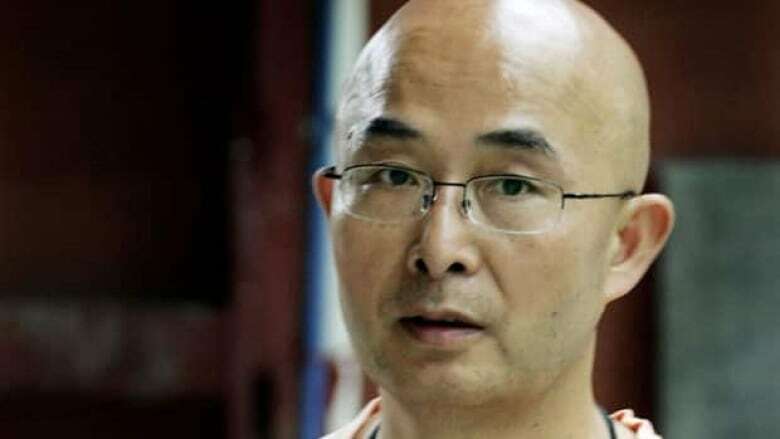 Chinese writer Liao Yiwu has gone into exile in Germany, saying Chinese authorities have forbidden him from publishing. Liao, 52, first came to prominence with a poem against China's 1989 crackdown on democracy protests, a work that helped earn him a four-year prison sentence. The writer appeared in Berlin on Friday to launch his newest book — which was translated into German — about his time in prison and his experiences as a critic of China's government. Liao said he had to leave China and make his way to Berlin secretly because authorities had forced him to sign an agreement not to publish. "Before I left, I had to assure the authorities I would not publish abroad my book, For One Song and A Hundred Songs," he said in an interview with Der Spiegel. "The most important thing for me is the freedom to publish, the freedom to write." The book is now scheduled for publication in Taiwan and Germany on July 21. Liao also plans visits to the U.S. and Australia to promote the book. "My publisher was worried I would be taken away, so due to considerations for my safety, they postponed (the memoir) three times. Now that I have arrived here, they can publish it," he said. Liao is best known for his non-fiction book The Corpse Walker: Real Life Stories: China from the Bottom Up, in which he interviewed 27 outsiders of Chinese society. That book, published under the title Interviews With People From the Bottom Rung of Society, was banned as soon as it was published in China. Liao came under scrutiny again earlier this year, as Chinese authorities began a crackdown on dissidents to prevent a protest movement or rebellion similar to those in countrieslike Egypt and Tunisia. Dozens of activists and intellectuals were arrested, including prominent artist Ai Weiwei. He was recently released from detention, but remains under a gag order. Police visited Liao often and told him he would be jailed if he published any more works abroad, the author said from Germany. Although he has previously attended international events, he was banned from leaving China to attend a literary festival in Australia in March and removed from a plane in February while en route to Germany. In March, the PEN World Voices Festival in New York left a chair vacant in his honour after he was prevented from attending. Liao did not reveal how he was able to leave China. He said he does not plan to return to his native country, but will live in Berlin, where he has been granted a one-year scholarship — to begin in 2012 — by a state-funded academic exchange agency.